Substantial weight loss is often accompanied by excess, sagging skin that can be uncomfortable and leave you unhappy about your appearance. Body contouring procedures, such as a thigh lift, can effectively remove excess skin and provide you with a firmer, naturally contoured appearance. A thigh lift focuses on the problem areas of your inner and outer thighs, were skin tends to accumulate and hang following weight loss. Your personal consultation with board-certified South Carolina plastic surgeon Dr. Ted Vaughn will determine if you’re an ideal candidate for a thigh lift or whether you may benefit from another procedure. Thigh lifts are best suited for patients who have considerable excess skin. If you have limited sagging skin that has retained some elasticity, liposuction may be a better option for you. Although complications from thigh lifts are rare, the thigh lift procedure requires a slightly longer recovery period than many other plastic surgery procedures. Thigh lift patients are typically discouraged from sitting or squatting for approximately two weeks due to the location of the surgical incision. 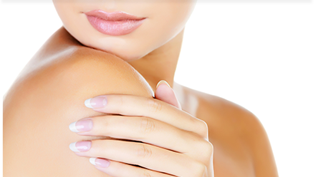 Learn more about removing excess, saggy skin through a body lift procedure. If you live in the Greenwood, Greenville, Anderson, Columbia, or Laurens areas of South Carolina and would like to learn more about a thigh lift, please contact Piedmont Plastic Surgery online or call 864-223-0505 today to arrange a one-on-one consultation with Dr. Vaughn.